Having a scanner at a NASCAR race lets you hear the drivers, spotters, and crew as they talk to each other during the race. You can also listen in on the NASCAR officials, or you can simply tune ​into the radio broadcast, all while protecting your hearing from the roaring engines. Buying a scanner can be a daunting task with so many choices available. Here are some of the best we've found to help narrow your search. The size and weight of the Racing Electronics RE3000 are excellent for a long day at the track. This scanner features 440 channels for a full weekend of racing with multiple series and plenty of fan-friendly features. It can be automatically programmed over the air and it also features a repeat button that will let you play back the last 30 seconds of audio in case you missed something important. This is the finest, friendliest racing scanner we've ever had the pleasure of testing. This pre-programmed scanner is extremely compact and it has been updated to allow you to store some frequencies by car number and scan through them. It has excellent battery life—up to 36 hours—on a single AA battery. If size and weight are a concern, there's no better scanner for you than the RACEceiver TruScan. The ProScan 100 catches your eye right away with its bright graphics and small size. Show off your driver loyalty at the track with this unique, brightly-colored scanner. 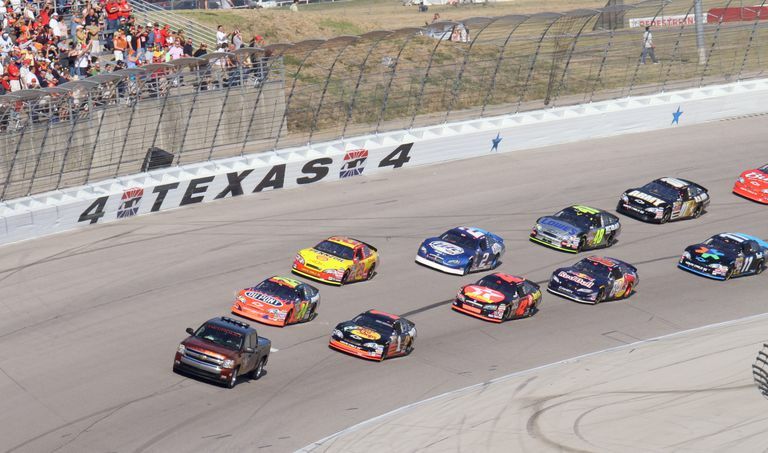 It's great for a race fan who only catches one or two races each year, but a power-user might want to look for something with more channels and a channel lockout feature. The Uniden BC92XLT is a great 200-channel scanner. Its compact size is perfect for taking along to the track. It runs on two AA alkaline or rechargeable batteries that provide plenty of battery life to get through a weekend. With 200 channels available, this is a solid choice. The BC72XLT is the 100-channel little brother to the 200-channel BC92XLT. The features and frequency coverage are virtually identical. This version simply has less channel memory. The 200-channel version will be more convenient for you over the long run if you can swing the extra few bucks, but this is still a solid scanner selection if you're on a budget. This Uniden scanner offers up to 2,400 channels—there’s virtually nothing you’d want to listen to out there that you wouldn't be able to find. The Race Track Operation feature lets you tune into specific drivers without fuss. Yet for all this, it’s small, lightweight, and easy to use. It requires two AA alkaline batteries. You'll probably want access to at least 200 channels for optimum enjoyment, and you should plan on spending at least $100. Some scanners go for two to three times that price, but they're worth it. You can also rent a scanner from the track, but why? You'll pay almost as much as you would for a base model, and you'll have nothing to show for it when you go home. You can also purchase phone apps that will offer similar coverage, but they generally don't offer continuous live streams for multiple hours, and you'll likely use up a lot of your data plan. No matter what you pay or what options you go for, a handheld scanner will make your day at the track unforgettable.